The Hobart Cadbury factory and its owner, Mondelez International, have fallen victim to a major international cyber-attack. 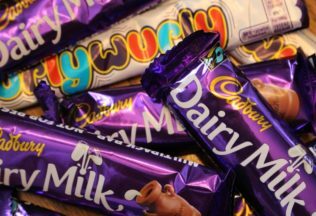 According to the ABC, production stopped at the Hobart Cadbury factory on Tuesday 27 June at approximately 9:30pm when its systems went down. An image of a computer screen from the factory supplied to the ABC says the user must pay to access their files. Mondelez International published a statement on its website saying it was working quickly to address the current global IT outage across its business and to contain any further exposure to its network. “Our teams are working offline in an effort to maintain business continuity with our customers and consumers around the world. We will share updates with our suppliers and partners as they become available,” Mondelez International said. “At this time, we do not know when our systems will be restored but we appreciate everyone’s patience, understanding and partnership during this process,” the statement said. Mondelez International said to continue to check its website and social media channel for further updates on the matter. A number of different companies across the world have become victims to the cyber-attack. The attack follows on from an earlier major global cyber-attack in May 2017 that also hit a number of businesses across the world.